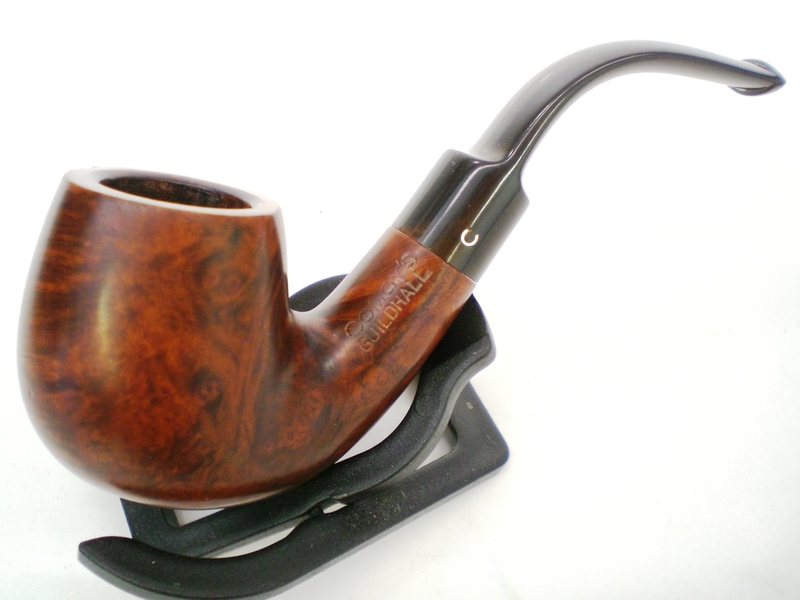 This Comoys “Guildhall” came with an Ebay estate lot that held my recent GBD Seventy-Six project. 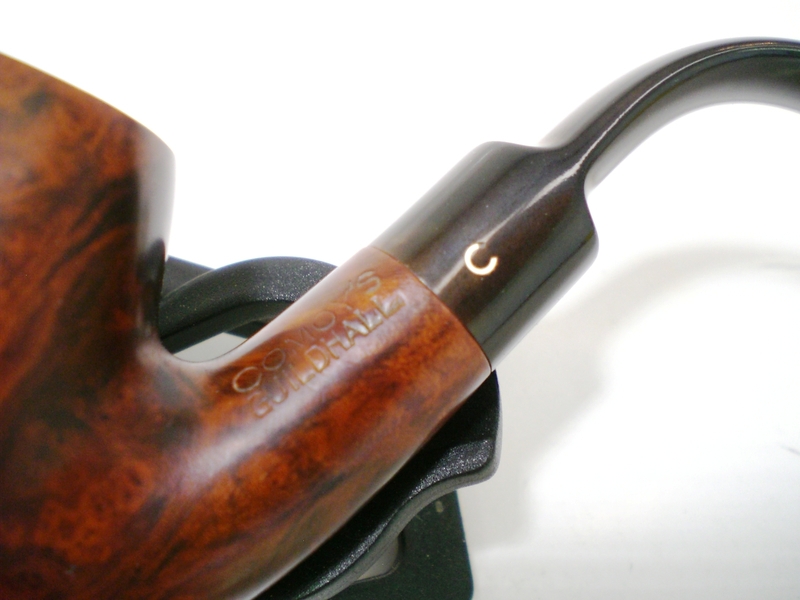 It is a stamped “C” logo pipe but the briar is nice and it should make a decent smoker. I suspect given the stamped logo and nomenclature, that this one is from the 1980’s. The stem was heavily oxidized and it took a lot of elbow grease to get it shiny again. The bowl was reamed and soaked with an alcohol and sea salt mixture, as is my usual practice. There was a chip on the bowl top, around the 7 o’clock position. That spot was sanded lightly with a piece of 6000 grit micromesh which mininized the mark and didn’t require the bowl top to be restained. 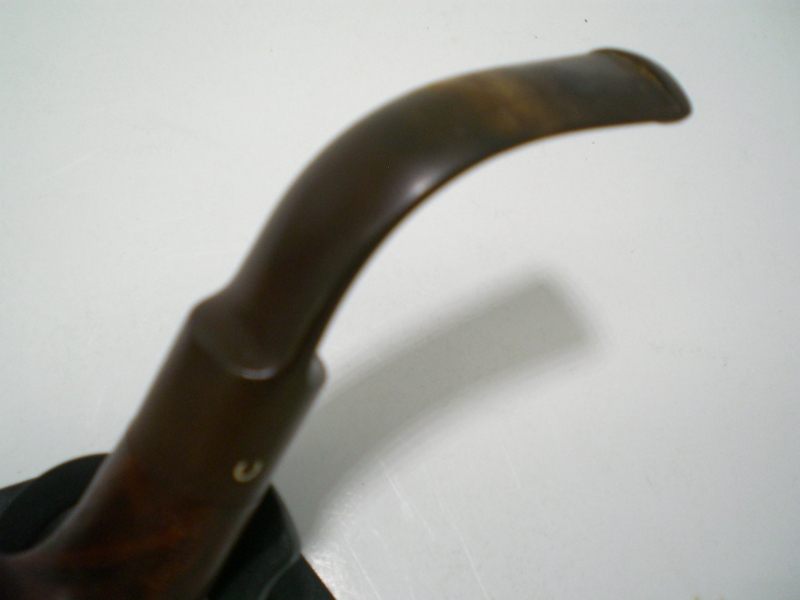 The beveled edge, a common Comoys styling element, is still intact with some darkening. I put a dab of grease on the “C” logo stamp and soaked it in a mild Oxy-Clean solution. It took a lot of sanding with a piece of 1500 grit wet paper to remove the oxidation. The logo has to be avoided, which is tricky. I then moved to 2000 grit wet paper. The stem had a pretty decent level of shine at that point and I finished the hand work with 8000 followed by 12000 grit micromesh papers. 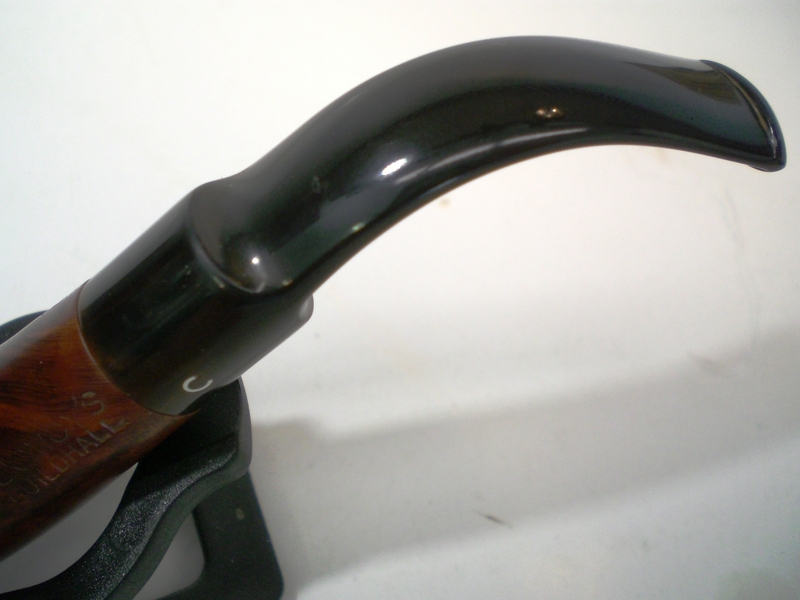 The pipe was then buffed on a machine with White Diamond followed by Blue Magic plastic polish. 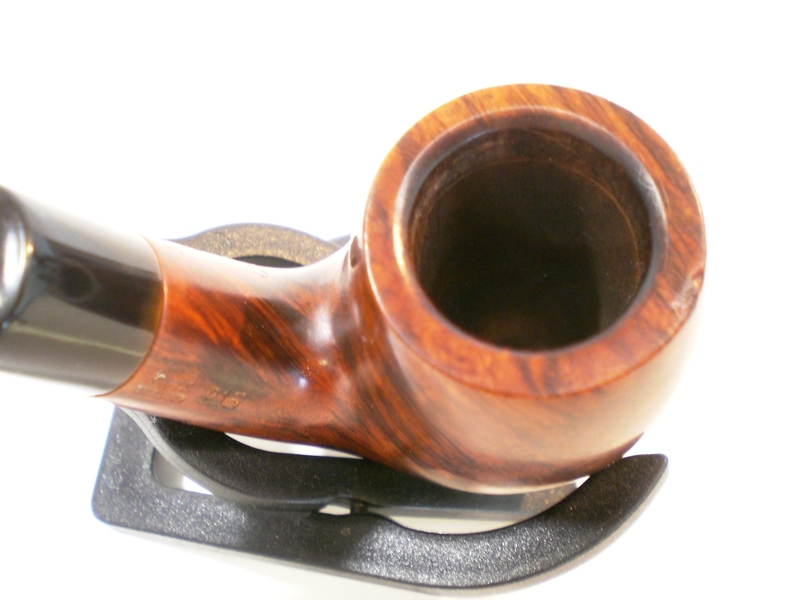 The bowl was buffed lightly with Tripoli rouge followed by White Diamond and finally several coats of carnuba wax. 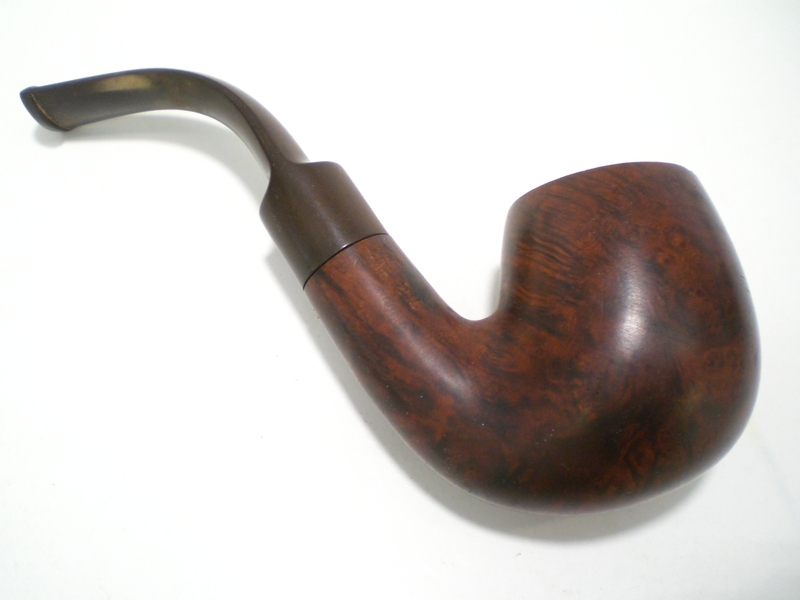 Here is the finished pipe. 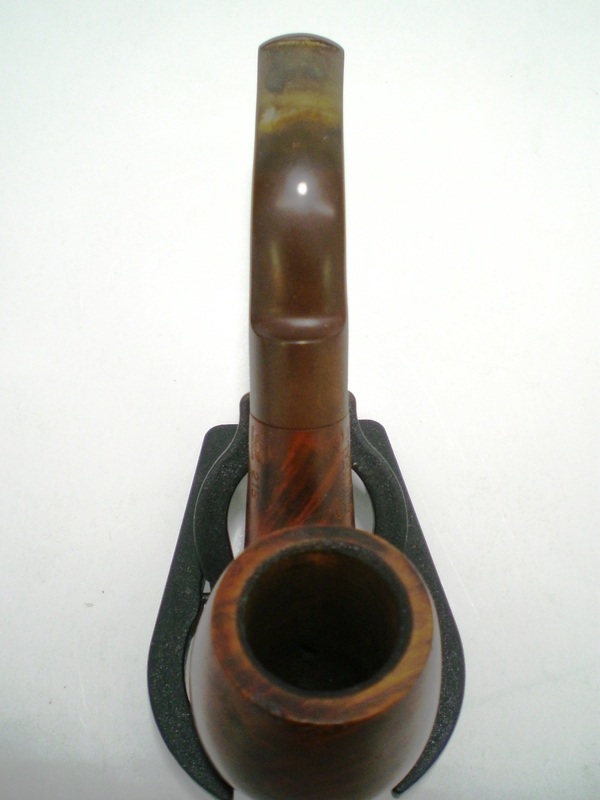 This one will most likely be sold via pipe forum classifieds or Ebay. 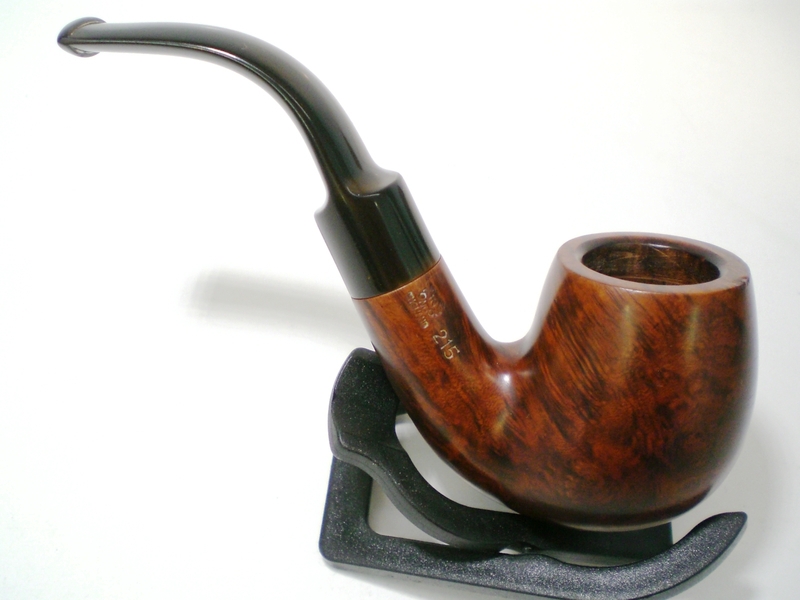 This entry was posted in Pipe Refurbishing Essays and tagged a chipped bowl rim, Al Jones, Bowl - finishing, Comoys, Comoys 215 pipes, refurbishing, refurbishing a pipe, removing oxidation on the stem, stem work, upshallfan on June 22, 2013 by upshallfan. Thanks Steve. I didn’t recognize that “Guidall” was a Comoys finish. 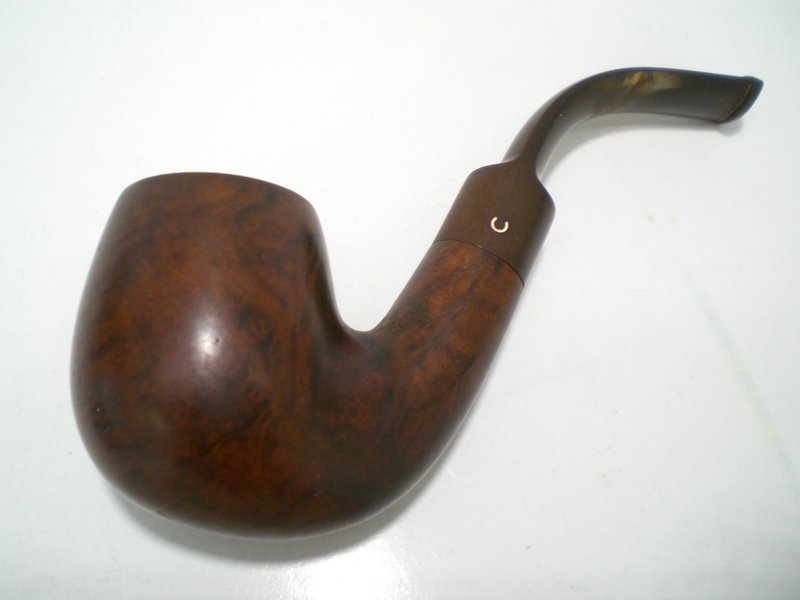 There was also a 2nd line of Comoys called “The Guidall” with the inset 3 stainless bars. I think this was introduced in the Cadogan era, as I have only seen the Guidall finish with the stamped logo.